The CBC is an easy way to get a large picture of Kitty's health. The CBC, short for complete blood count, is one of the most common diagnostic tests used in veterinary medicine. It's easy to do and provides a host of information to discover what might be ailing your cat. Your vet will analyze red blood cells, white blood cells and platelets. CBCs are normally used to look for evidence of infection or inflammation, as well as evidence for blood parasites. The information gathered can shed light on how long the problem's been present as well as whether an infection is viral, bacterial or fungal. CBCs can detect anemia and help evaluate other issues, such as endocrine diseases and bone marrow disease. Red blood cells are measured in the red blood cell count, known as RBC. These cells transport oxygen throughout the body, which is important because oxygen is the body's fuel. A high RBC can indicate dehydration and uncommon diseases that produce large amounts of red blood cells from bone marrow. Low RBCs are known as anemia and can come from blood loss, bone marrow disease, active bleeding or excessive red blood cell breakdown. The normal level is between five and 15, which means there are between 5 million and 15 million red blood cells per cubic millimeter of blood (mil/uL). The white blood cell count is abbreviated by WBC. These cells are instrumental in fighting infection and respond when one part of the body is inflamed. A high WBC indicates infection, inflammation and some types of cancer or leukemia. If the WBC is low, it can point to bone marrow abnormalities, viral infections or overwhelming infections or blood poisoning. A normal range for the white blood cell count is between 5.5 and 19.5. White blood cells are measured in thousands per cubic milliliter (K/uL), which means it's normal to have between 5,500 and 19,500 white blood cells per cubic milliliter of blood. Platelets, which measure how many cells form clots, are abbreviated by PLT. A low platelet count can produce favorable conditions for spontaneous bleeding. Such counts may signal bleeding or excessive destruction of platelets caused by immune disease or parasites. A normal platelet level is between 200 and 500. Platelets are measured in thousands per cubic millimeter, meaning a normal cubic millimeter (m/uL) of blood should have between 200,000 to 500,000 platelets. The CBC contains more information. Hemoglobin (HGB) releases oxygen into the red blood cells. High levels can indicate dehydration and low levels can indicate anemia or iron deficiency. Hematocrit (HCT) is the percentage of red blood cells in circulation and provides similar information as the RBC. Other red blood cell information is mean corpuscular volume (MCV), mean corpuscular hemoglobin (MCH) and mean corpuscular hemoglobin concentration (MCHC). Five different types of white blood cells are measured and analyzed in the differential. Their distribution can help provide information about the underlying cause of an illness. To have a complete understanding of your cat's CBC, talk to your vet to learn what was measured, why it was measured and what it means for your kitty. 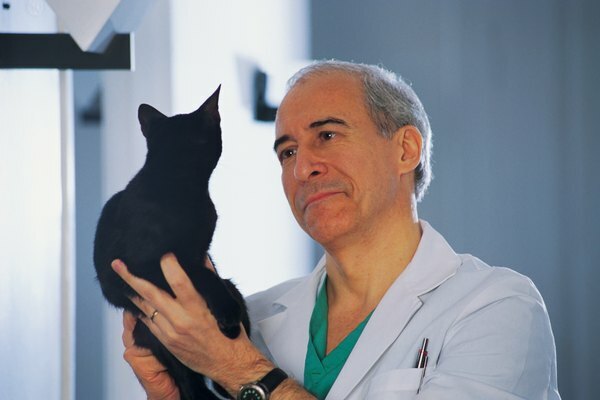 What Does the Blood Panel Test Show in Cats?